Austin Mahone, a pop star who exists and makes me feel especially old, shared some sad news with fans yesterday. The 17 year old (who I watched perform during the VMAs pre-show, apparently) cancelled his tour because he's in the hospital. The teen (who sings a song called "What About Love", I guess) is being treated for a blood clot in his throat, a fever, and dehydration. Uh, what? Stop it, I'm familiar with dehydration. I grew up in Arizona. But what does "a blood clot in his throat" mean? Oh, thank goodness for the internet. He was born on April 4, 1996 (holy hell) in San Antonio, Texas. 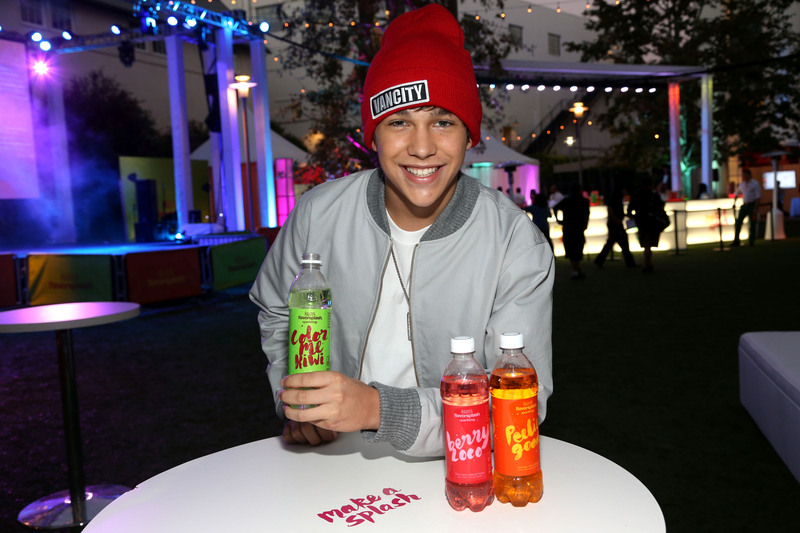 He's Justin Bieber 2.0: Austin is a YouTube sensation who was signed to a record label in 2012. He, like Biebs, dances and sings. No word on whether or not he pees in buckets. He toured with Taylor Swift and Kara DioGuardi believes in him. Good for him. He has a HUGE following. Fans pay actual dollars to Skype with him. I wish I was making that up. He charges $50 for a 10-minute convo. To be fair, I can't say tween me wouldn't have scrounged together my babysitting earnings to pay for a phone call with Britney Spears. He sells out concerts. On the regular. When I was his age (someone hand me my Werther's Originals), I was hanging out in Sonic Drive-Thru parking lots for hours at a time. Way to make my teen years seem meaningless, Mahone! Alright, Austin. Speedy recovery to you. Drink some coconut water and use some chloraseptic spray. You'll be back to dancing in no time.